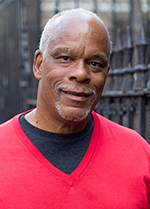 The IDA will present its 2016 Career Achievement Award to Stanley Nelson. Nelson is an Emmy Award-winning documentary filmmaker, MacArthur “genius” Fellow, and member of the Academy of Motion Picture Arts and Sciences. He was awarded the National Humanities Medal by President Obama in August 2014. THE BLACK PANTHERS: VANGUARD OF THE REVOLUTION, Nelson’s 8th film to premiere at Sundance Film Festival, was released in 2015. Nelson has directed and produced numerous acclaimed films, including FREEDOM SUMMER, FREEDOM RIDERS, JONESTOWN: THE LIFE AND DEATH OF PEOPLE’S TEMPLE and THE MURDER OF EMMETT TILL. He is also the co-founder and Executive Director of Firelight Films and co-founder of Firelight Media, which provides technical support to emerging documentarians. With numerous industry awards to his credit, Nelson is acknowledged as one of the preeminent documentary filmmakers working today. He is currently in production on TELL THEM WE ARE RISING: THE STORY OF HISTORICALLY BLACK COLLEGES AND UNIVERSITIES, which is the second in a series of three films Nelson will direct as part of a new multi-platform PBS series entitled America Revisited.